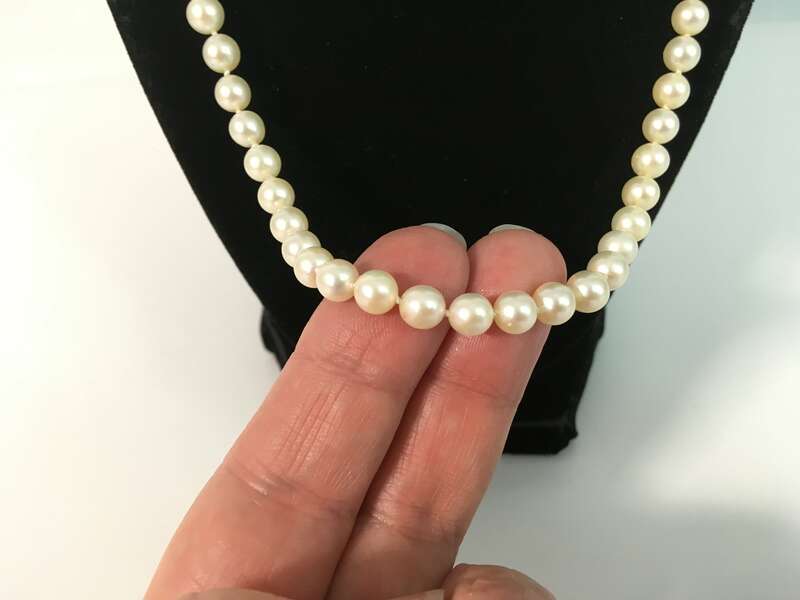 Wonderful vintage genuine pearl necklace featuring a single strand of off-white or ivory colored 6 mm sized pearls with an ornate filigree 14K white gold clasp that is hallmarked. 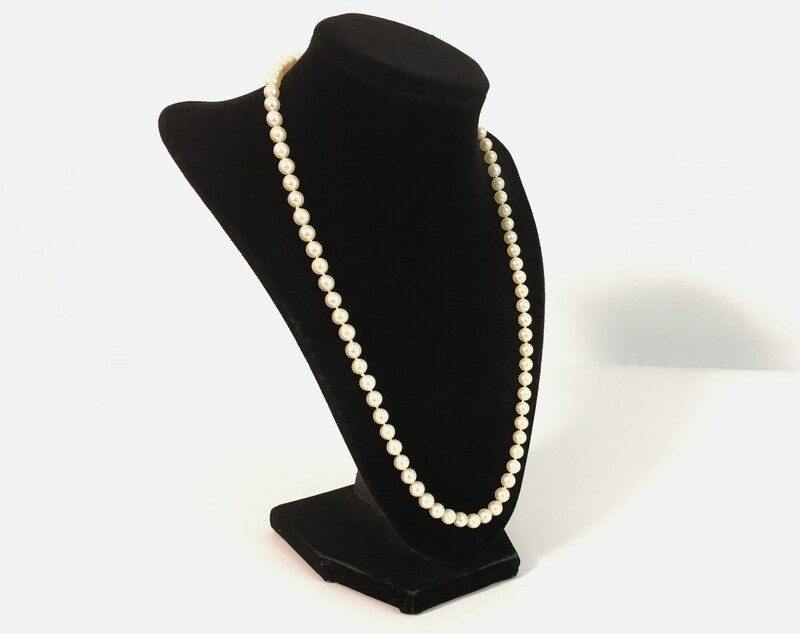 This retro single strand pearl necklace is 21" long or Matinee Length and is circa mid-century in age. 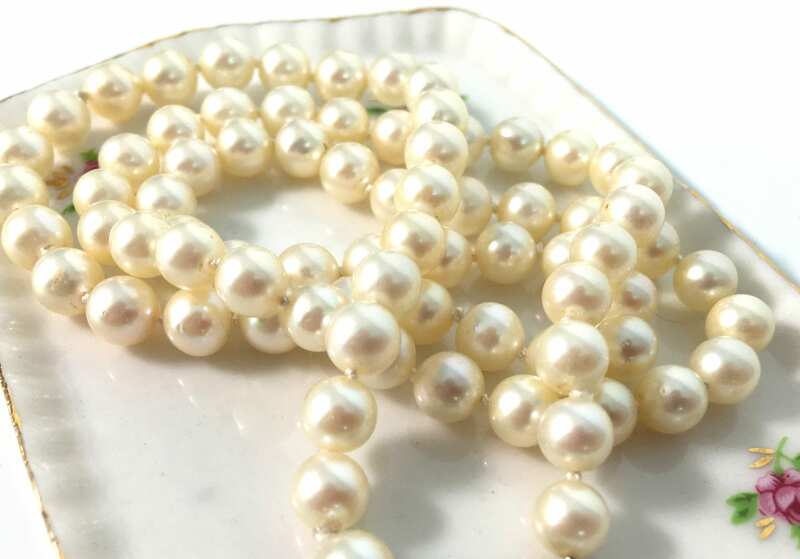 The pearls are all individually hand knotted on silk thread. 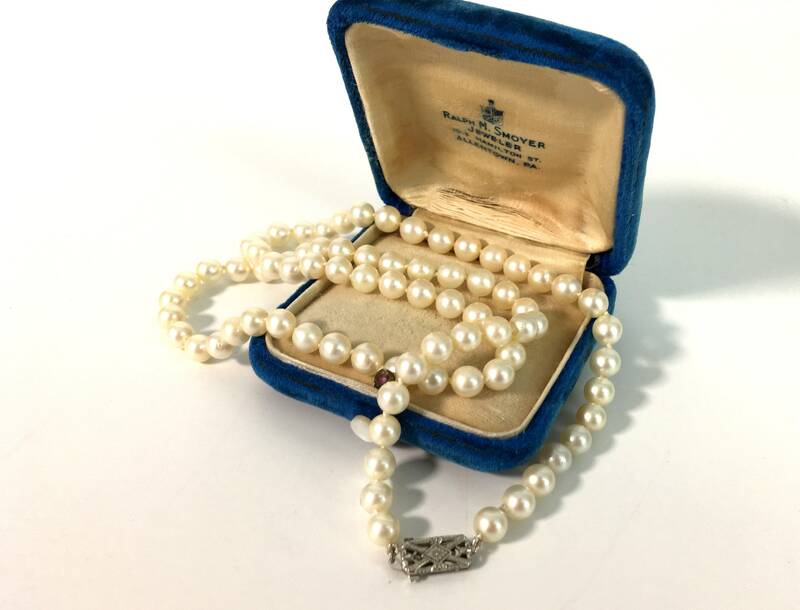 In all there are 78 pearls that are all approximately 6 mm in size on this classic pearl necklace. 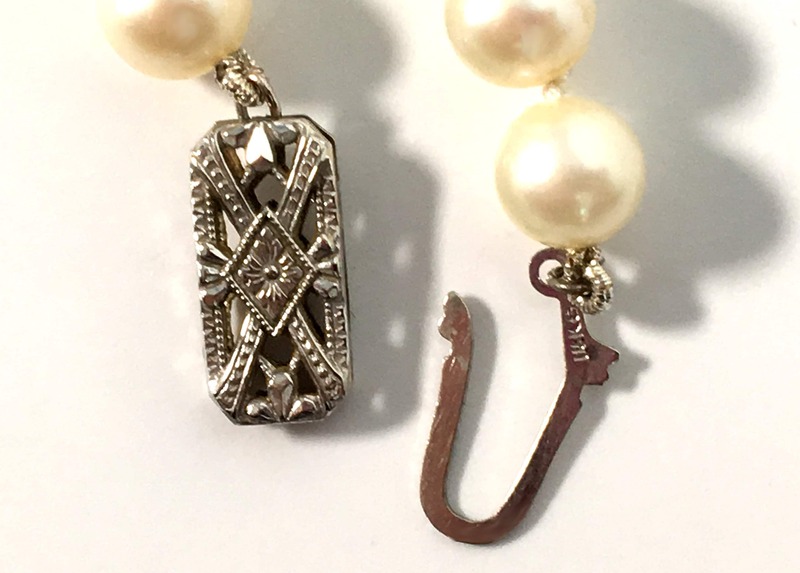 The white gold filigree fishhook clasp is in a rectangular shape that features a flower in the very center that appears inside a diamond shape with decorative shapes around the edges. 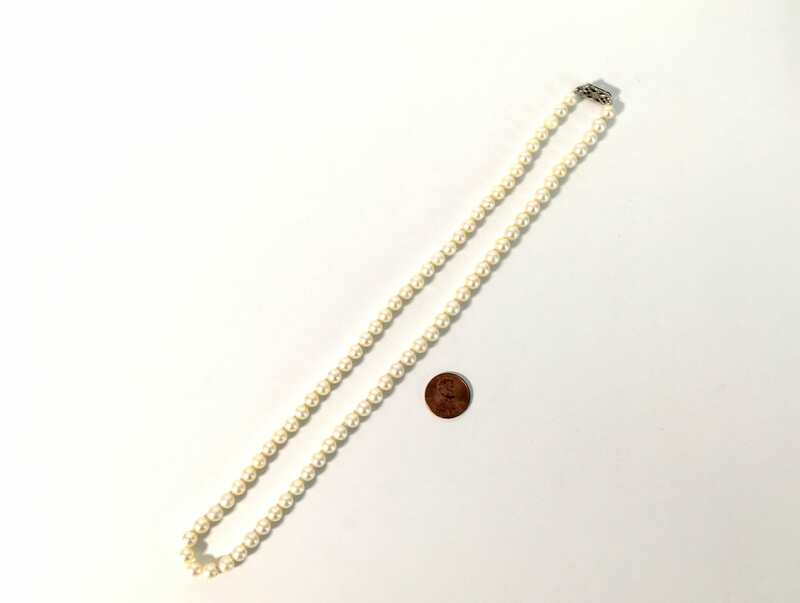 It opens and closes securely. 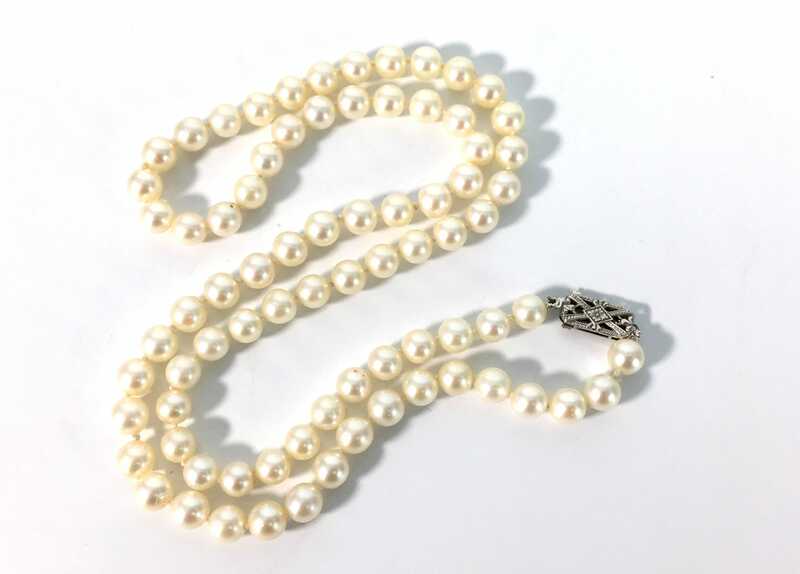 The clasp is marked 14K and has pictorial hallmark as well. 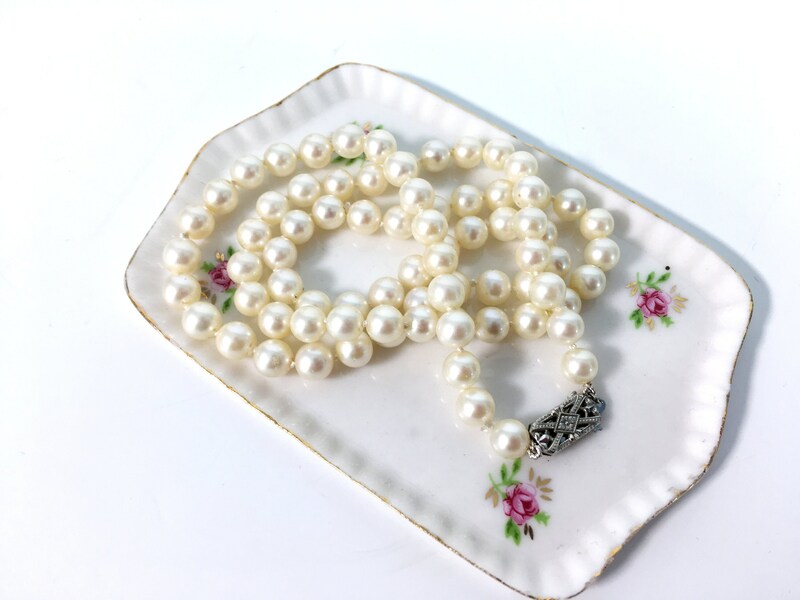 A great vintage pearl necklace that would look great with any outfit - a retro classic!